You are looking to purchase 1 new deck of Chameleons Red Playing Cards. Chameleons is the latest incredible deck series from EPCC. Designed by world-renowned magician Asi Wind and made from Expert’s Classic stock, the deck feels familiar yet superior to standard decks. 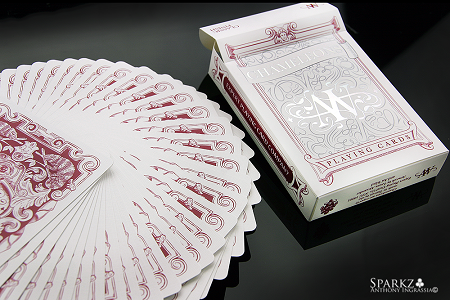 It’s engineered to be the ultimate deck for magicians to use to improve performance and is the first release for the new Expert Signature Series playing cards. This series will feature decks designed by the real superstars of magic and cardistry!